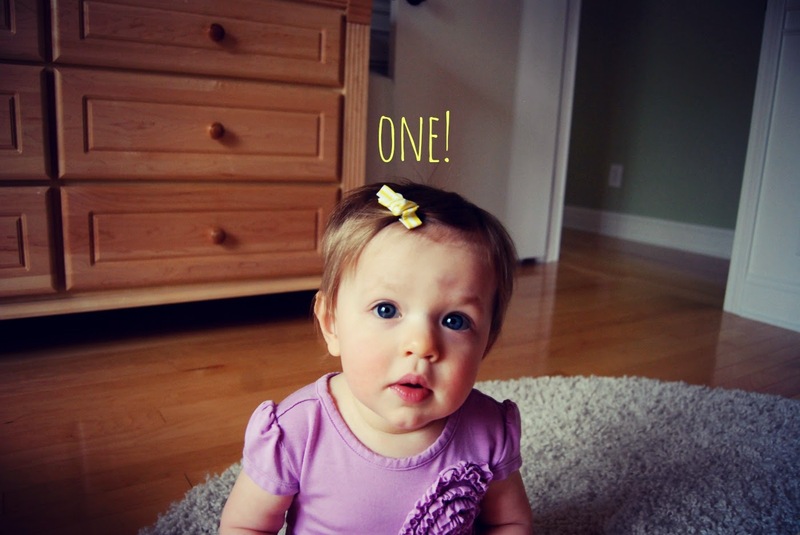 My baby is one, y'all. ONE. I really can't believe it. ...to this in no time at all. 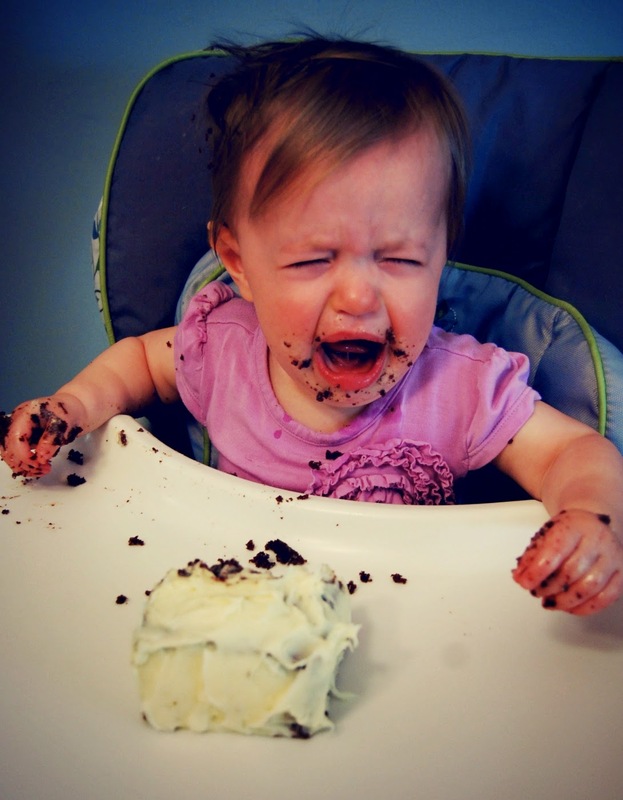 We said we weren't going to have a big birthday bash. We said we were just going to do a cupcake or two and have some family over. 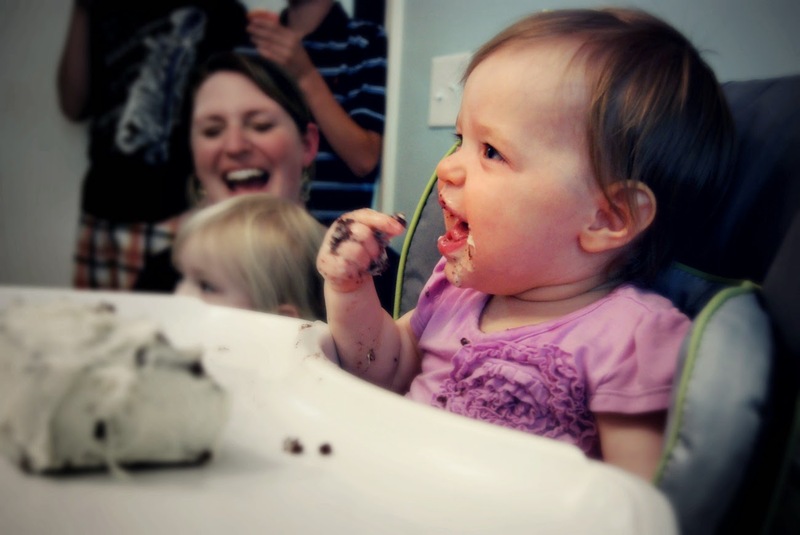 We weren't going to be those parents that went crazy for a birthday party that the recipient will never remember. Um, yeah. We partied our tails off this weekend. I'm exhausted. I had some really grand plans for the birthday party considering we weren't going to do anything big. It just sort of snowballed. 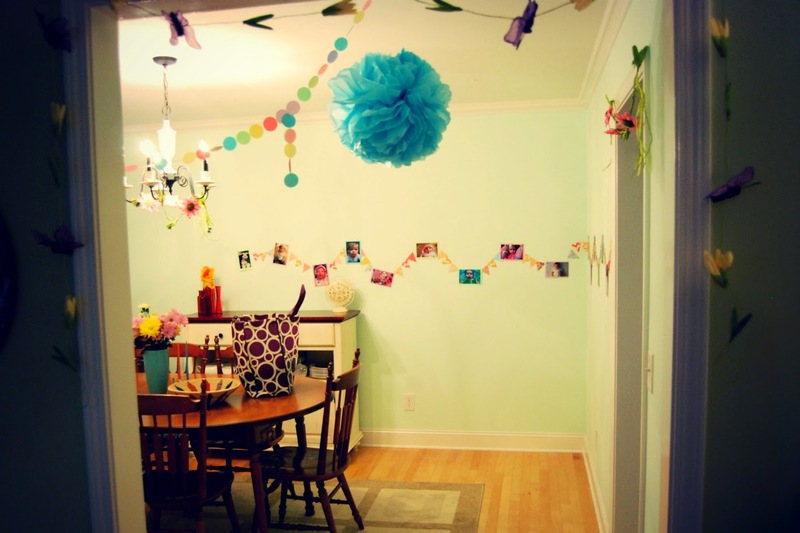 I didn't get to do everything I wanted to, but I sure did have fun decorating for the party. 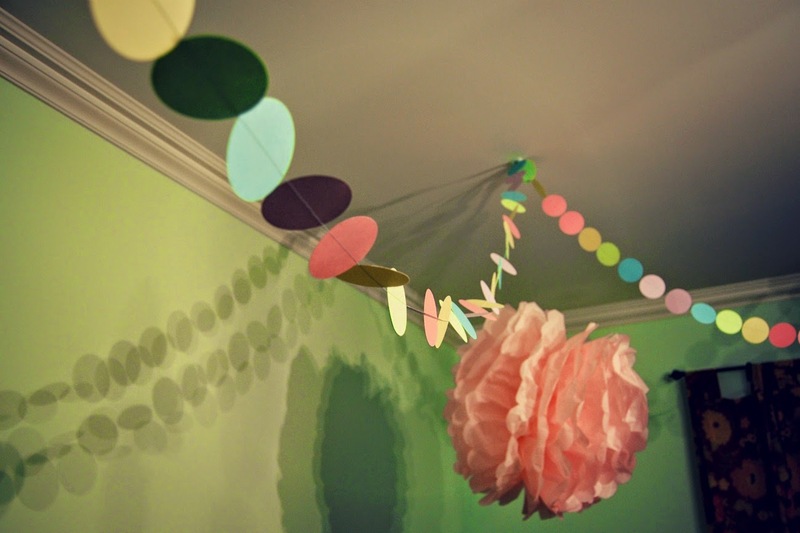 I made some garland by sewing card stock circles together, one after the other. A friend made a bunch of those tissue paper poufs. I bought a few things at Hobby Lobby. I had a table for dyeing Easter eggs and a huge spread for all the party guests. Aaaand, I didn't think to take a single picture of the set up until the party was long over. It was Pinterest-worthy, I promise ;) You'll just have to trust me. This is just the aftermath. 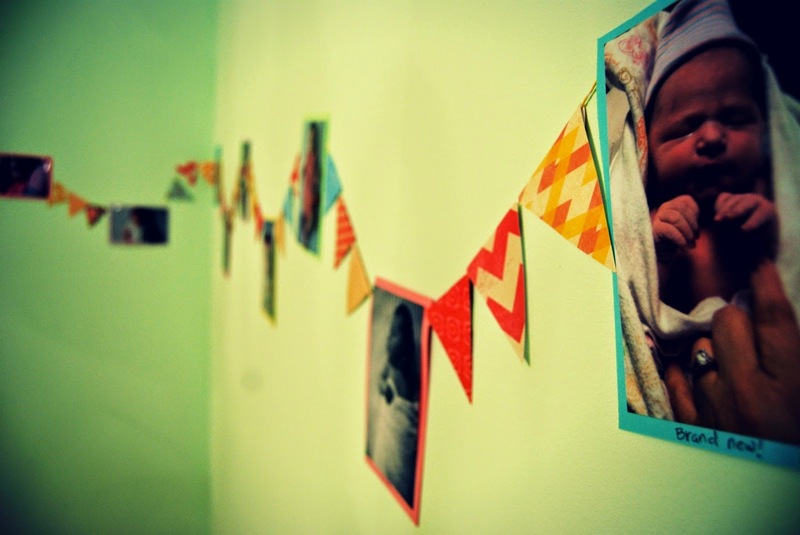 I did want to share the banner I made with pictures from baby Jane's first year. I was pretty proud of it when it was finished. I had a photo from each month, including a few half-month pics. 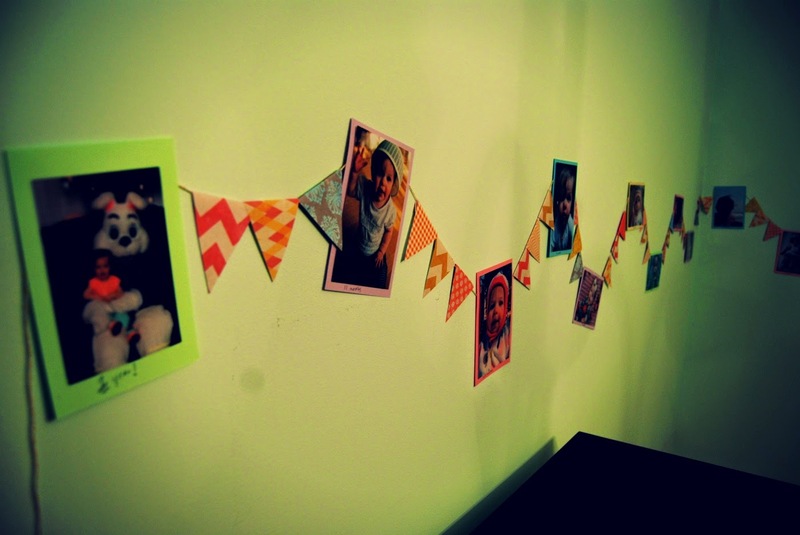 I mounted each photo on a piece of card stock and then cut some triangles from scrap booking paper to look like bunting. I have to say that it was pretty cute. I think I may just have to keep it up for a while. I may have enjoyed it more than any of the party guests. 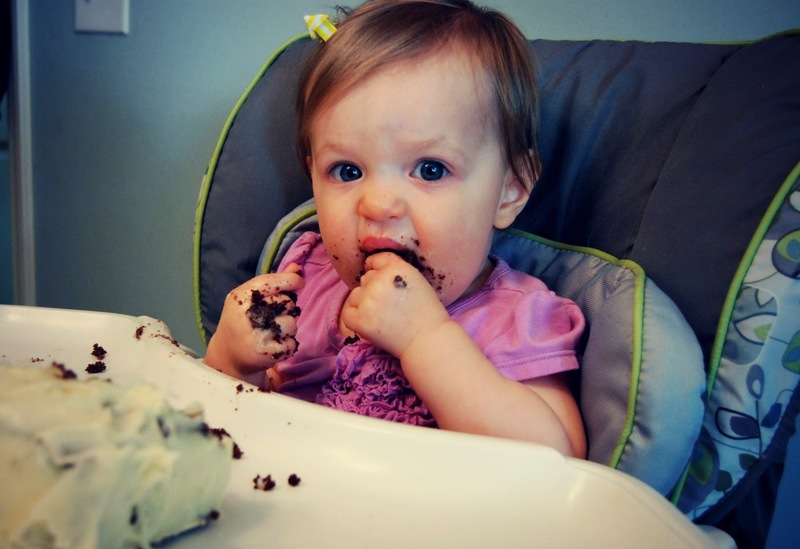 Between birthday and Easter this weekend, baby Jane may just expect cake every night. Hope you all had a happy Easter! 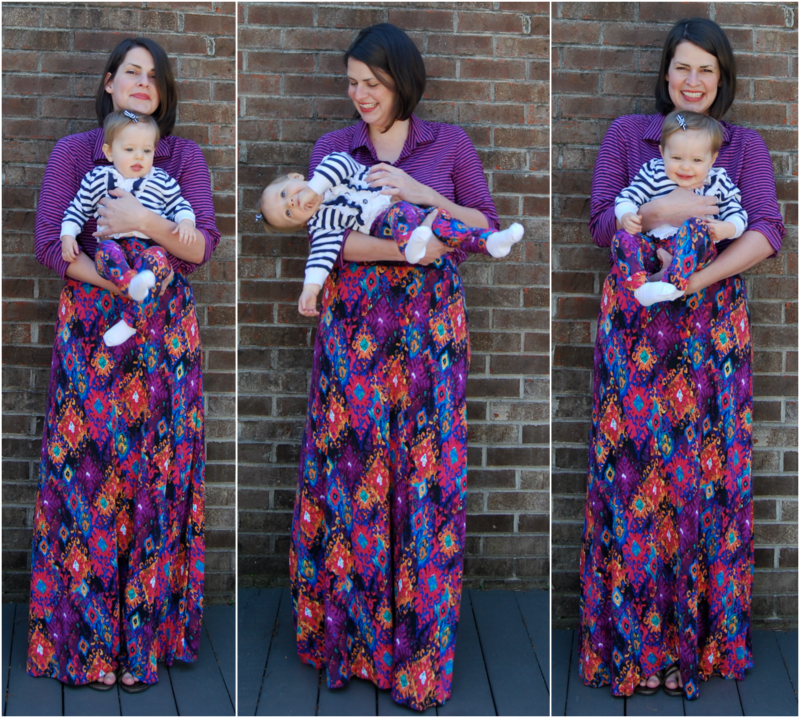 My half circle leopard print maxi skirt from Jungle January is in heavy rotation these days. Despite not being a leopard print kind of gal. I get a ton of compliments every time I wear it. I think it has something to do with all that swish when I walk. It really does have a satisfying swish. 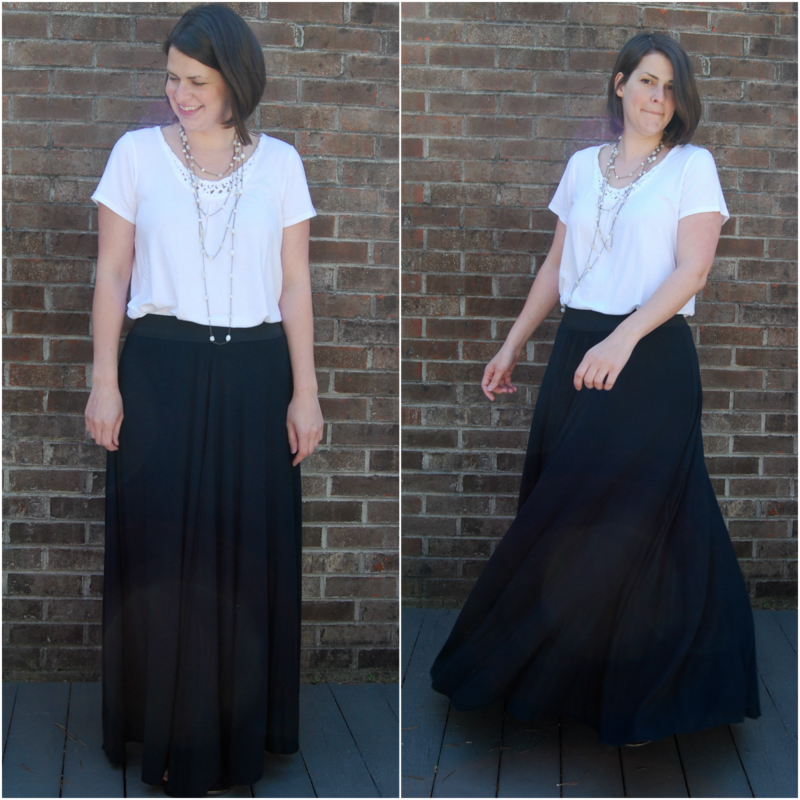 Anyway, I decided I needed another half circle maxi in my life. In plain old boring black. It's impossible for me to twirl and make a normal face at the same time. Again, I used this post from By Hand London to make my pattern. Out of all the circle skirt formula posts out there, this one made the most sense. I used a rayon knit I found at Joann's. It seems to be pretty decent quality and really soft. I was a little worried that it was a tad see through. There is nothing worse than seeing through a skirt when the light hits it. So I sewed a separate short tube skirt and attached it at the waist. It took a little bit of engineering but I am super happy with how it turned out. I don't have to worry about any issues with the fabric being see through or too thin. No VPL. I used the same wide elastic for the waistband as before out of laziness. After making the black version, I decided I wanted to try a quarter circle maxi as well. Making the pattern took longer than sewing the skirt. It was a really quick project. I used another rayon knit I found at Joann's with a funky print. I did have to cut the skirt in two panels, so I was careful to keep the print straight at the front and back when cutting it out. I used the same wide elastic for the waist but this time I covered it. I am much happier with this waistband than the plain elastic. It looks much more finished to me. And guess who got a pair of leggings with the leftover fabric? This sweet girl. I used this legging pattern again- same one I used for my crawling baby pants. It was another super quick and easy sewing project. And a great way to use up leftover scraps. I may be addicted to making baby leggings. There was a bit of tickling going on in these photos. She's ONE by the way. As of this past Monday. I can't believe it. We are having a party this weekend so I've been spending my spring break getting ready. I hope everyone has a happy Easter!